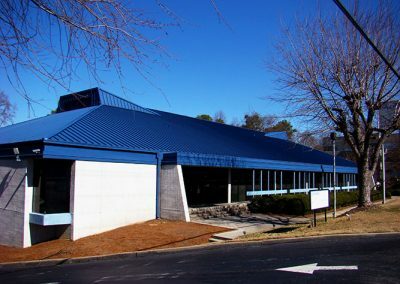 DATAMATX had been attempting to resolve a series of leaks in the building for at least ten years. 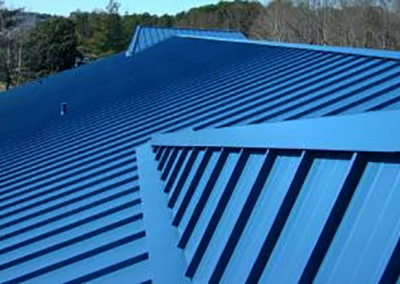 They were experiencing significant problems with the flat roof areas that intersected with the existing standing seam metal roofing. Leaks had been so extensive that the metal decking had rusted to the point of failure. 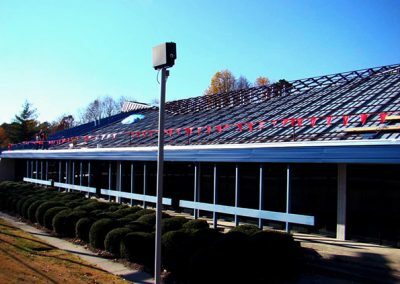 Additionally, the metal roof had been coated multiple times to protect it from rusting and to resolve leaks that would periodically develop. We were brought into this project to provide an initial roof evaluation survey and to make decisions as to solutions for this problematic roof. The scope of the work also included roof design, contract administration and quality assurance inspections. 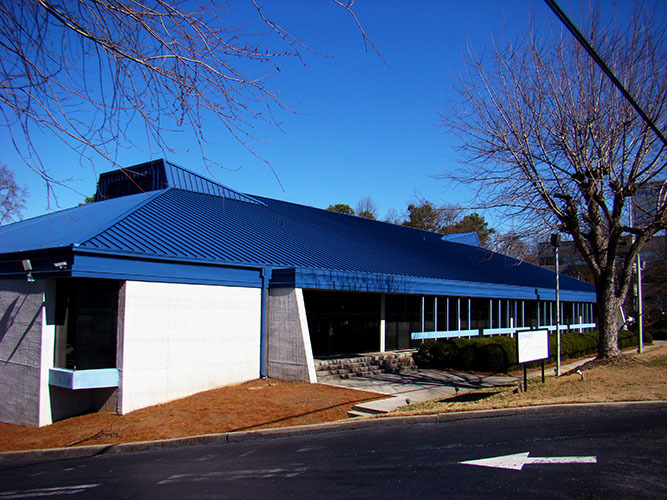 During Raymond Engineering’s design development phase, it was determined that removal of the existing metal panels was not an option because of the disruption to interior operations and the liability exposure that any contractor considering the project would incur. 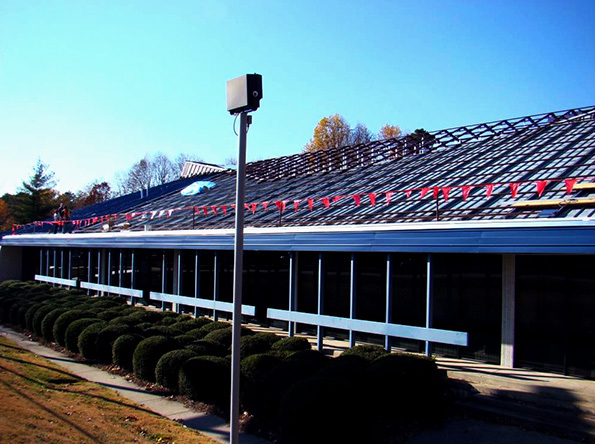 It was therefore decided that re-roofing would entail the construction of a new supporting structure that would eliminate the flat roof areas, install a recover metal roof system over the existing, and install new metal wall panels that would match the new roof system in type and color. Our design was successful in addressing complex detail conditions resulting in no change orders. Work proceeded with minimal impact to interior operations and within the client’s budget.